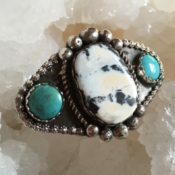 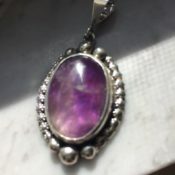 This exquisite stone is rare and is found only in British Columbia. 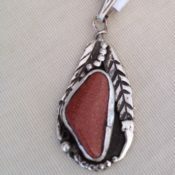 This pendant is mine and contains the ashes of my dearest Janie who passed away over 4 years ago. 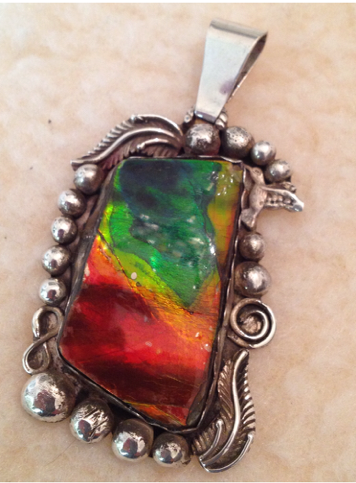 To buy a stone of this quality in the ammolite would cost over 1000.00 nowadays. 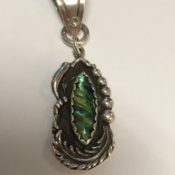 I have one similar to this one in size and colors and it would cost 350.00, the silver setting would be 250.00.